The Internet has revolutionised the way we live and most significantly perhaps, the way we work. It has opened up a whole new world of possibilities for people to create their own businesses, become self-employed, and work from anywhere there is an Internet connection. With this came the promise of escaping the shackles of the 9-5 world of office work, with its routine and generally unpleasant environment for many. More and more people began working from home, either for part or all of their working hours. The dream has not quite lived up to the promise though, as despite the many drawbacks of office work, it does still have its perks. Humans are on the whole inherently social creatures, so working from home everyday has shown itself to be quite an isolated existence. This is where the brilliant concept of coworking spaces has sprung up from. The 9-5 routine and confines of an office is not for everyone, but then again neither is sitting all day alone at home working. A coworking space offers the perfect compromise. You can come and go as you please and are not required to be at your desk at certain times. On the other hand there are other people around who you can swap ideas with, network with, and generally have people to talk to and make new friends. This concept has grown and grown in popularity over the years, with coworking spaces springing up all over the world. 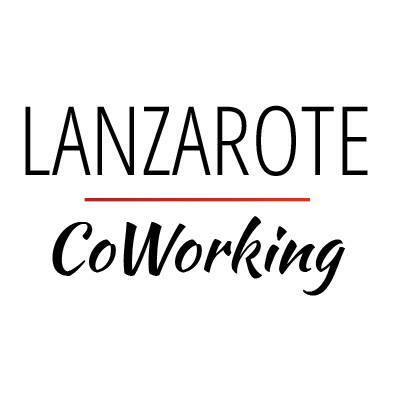 Since May 2015, Lanzarote now has its very own coworking space in the main tourist resort of Puerto del Carmen. It is in an absolutely ideal location with an incredible view across the sea to Fuerteventura. While coworking spaces in general are an excellent concept, not all are created equal. Most certainly do not have a view like the one here in Lanzarote. It is also three minutes walk from the beach, and the main shopping street with shops, restaurants, bars and cafes. The internet is speedy and is being improved all the time. It is kept clean and tidy, and there are comfortable desks and chairs. There are also tea and coffee making facilities. Lanzarote itself is a beautiful island of contrasts. There is the volcanic interior with its fascinating volcanic landscape, and the coast with superb sandy beaches, and clear blue ocean. The sky is almost always blue, with very rarely a grey day. It is a far cry from rainy Britain for example. Many describe the island as having “the best climate in the world” and for obvious reason. If you live in Lanzarote or come to visit you can enjoy warm sunny weather, more or less the whole year. You can sunbathe on the beach and swim in the sea even in the winter months which is why so many people come here for winter sun. Lanzarote is also a very safe, convenient and easy place to live. It is small and easy to get around either by car or public transport. It is cheap to travel to from mainland Europe with many cheap flights. To buy or rent in Lanzarote is cheap, as is the cost of living. This is partly because Lanzarote is in the Canary Islands which has its own autonomous tax system. Taxes on goods and services are only 7% as opposed to 20% in many other countries. 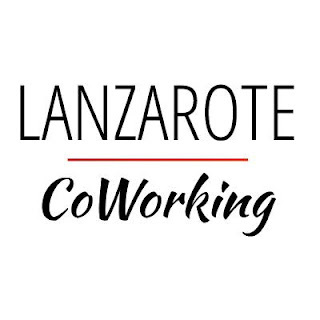 Lanzarote Coworking space offers a number of different pricing options for those wishing to work here. If you are tourist you can use a desk for a day, a week or longer if you wish. For people staying here longer or living, there is the option to use a shared desk, or rent dedicated desk space. Lanzarote Coworking is happy to accommodate lots of different options and preferences to suit your needs. If you decide to work in their office you will join a friendly team of freelancers who use the office most days during the week. They are based there on a full time basis, but of course do not stick to the regular office hours of 9-5. This is one of the reasons they have chosen the freelance life, and the coworking space! If you unsure of how you would get along at a coworking space, or feel you need to test it out, then come along to the office between Monday to Friday and you will find a warm welcome, and the opportunity to try out the office before you commit to signing up. I'm more than certain that once you work at Lanzarote Coworking space you will not miss working from home!